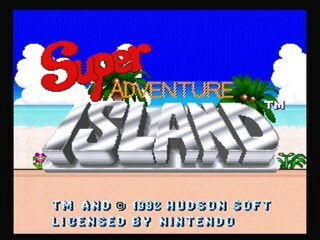 Super Adventure Island is the 1992 sequel to Adventure Island with largely unchanged Adventure/Platformer gameplay. A Villain name of 'Dark Cloak' demonstrates that video game writing has in fact not been any better in the past. Best time: 0:17:39 by David Heidman Jr. on 2013-07-20.